How can we make it easy for users to become aware of Google My Business and create a listing without leaving GoCentral? As the sole UX Designer for this feature, I was tasked with creating a replacement for the Google My Business listing service found in GoDaddy's GetFound. Get Found provides a platform for listing on multiple local business listing sites but will soon be phased out in favor of a more robust set of marketing tools included in the GoCentral suite. Our goal is to empower small business owners to build, manage and maintain their online presence in the easiest way possible and Google My Business (or GMB as we call it) is an excellent tool for increasing local visibility in Google Search and Maps. I started by researching the core product itself: how did Google My Business handle the listing creation process? How long did it take and what was the experience like? Next, I dove into GetFound and examined the differences. Brick and mortar or service area: the types of businesses that could be considered for a GMB listing. 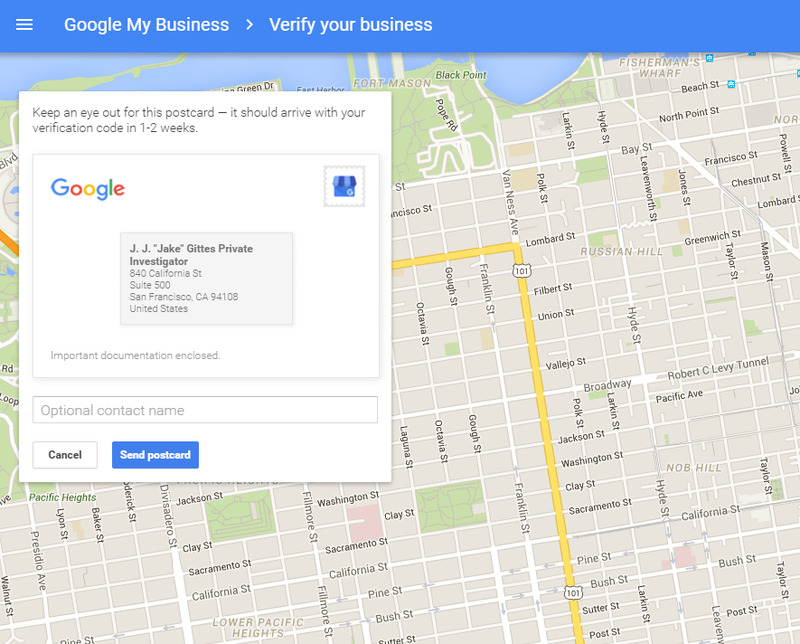 Up to 1-2 weeks: how long the Google My Business verification process by mail could take. That's a long time for small businesses struggling to compete. 85%: the GetFound onboarding completion rate. Users were successfully getting into the product and publishing listings but there was still room for improvement. 1 minute: the amount of time it takes to verify your business by phone in GetFound and GMB. If users skipped this step because they weren't at their business, their listing might not go live. Now that I had a clear understanding of existing products and constraints, I teamed up with my Product Manager and Engineering Lead to brainstorm a new flow that would live within GoCentral. Who were the GoCentral users and did they differ from Google My Business and GetFound users? Where were they coming from prior to discovering this feature? What were the technical constraints we were dealing with? What are some areas of improvement from the previous GetFound feature? GetFound is sold separately from any website our customers purchased which leads to a disjointed experience visually and functionally jumping from app to app. I explored different areas within GoCentral to expose Google My Business and, after much consideration of traffic data and flows, landed on presenting a card on the dashboard which users saw post-publishing their GoCentral site. The process of scanning Google Places for matches to the business could return no matches, one match, or multiple matches so different flows and states of the card on the dashboard were developed. If we found a correct listing match on Google Places and the GoCentral user wished to claim it, we needed them to grant us permission to manage their listing. What we uncovered were valuable insights that changed the flow. The biggest takeaway from user testing was that even though a preview of the listing was presented on the dashboard in the first step, users did not feel comfortable publishing the listing to Google on the last step without a final preview. This, along with strict data quality verification requirements led to the addition of a business information review step. With GoCentral, we brought awareness of Google My Business to our users and decreased the amount of time it took to get listed from 1-2 weeks down to 12-50 hours. That’s huge for our users! We’re also sending their logo, website, and hours automatically to their Google My Business listing so they don’t have to worry about adding this at a later date. This is beneficial for our users as more complete listings with up-to-date information help improve their local ranking on Google. GoCentral’s Google My Business Listing creation tool has only been out for a short time but our customers are already seeing results. ...and we’re just getting started. The pattern created in this feature is applicable to many other online networks such as Yelp and TripAdvisor. You can see this feature live on GoDaddy's GoCentral Business Plus and Online Store plans after publishing. Check out the press release for more info.